CNC Turning Center: Hyundai-WIA L2100SY. Improving efficiency offerings. The mission at PD Peterka is to make outsourcing the comfortable choice for you. 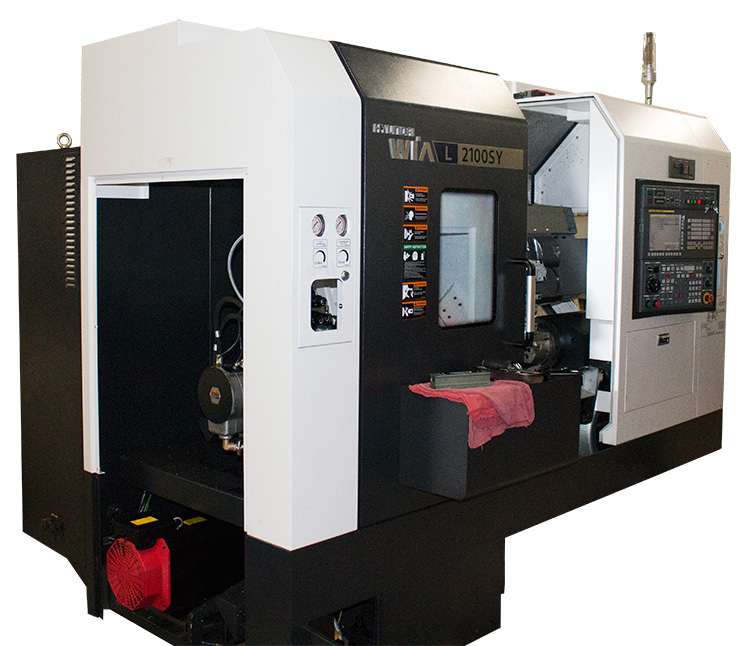 In order to do this, keeping up to date with the most innovative technology and CNC Turning center machines is absolutely essential and for this reason we have recently added the Hyundai-WIA L2100SY to our machining armory. This machine is a multitasking turning centre that has the capability to complete complex milling and turning operations in a single setup. Applications for this machine vary and there are some definite advantages that we have outlined below. The rigid structure bed is a combination of square and tubular rib structure that is designed to absorb all vibrations resulting in increased, high accuracy, machining stability. On top of this, the main spindles diameter and thickness have been increased enabling it to achieve high speed acceleration and deceleration ensuring smooth, stable machining at a high rpm. By using a double pretension design, the Hyundai-WIA CNC Turning Center leaves little to no thermal growth on items meaning increased quality in whatever workpiece you are working on. The workpiece is also moved between main and sub spindle whilst rotating using a synchronized control, thus reducing cycle time and increasing productivity. Productivity and capabilities of the machine have been increased further by including both straight and angular milling heads in order to cover all bases of your milling needs. Included in the Hyundai-WIA machine is its very own Smart System. This software results in both faster processing times and enhanced accuracy. It is an easy to use software that helps to maximize productivity by monitoring equipment. By partnering the physical components of this machine with the highly effective software, the Hyundai-Wia L2100SY allows us to create the highest quality products possible, so that you have one less thing to worry about. To find out more about this machine or what we can do for you, fill out a contact form by clicking here.